Taiwan's new President, Ms Tsai Ing-wen, yesterday struck a conciliatory tone in her inaugural speech, urging both China and the island to "set aside the baggage of history" and engage in positive dialogue. But the lack of mention of the 1992 Consensus that acknowledges the one-China policy has drawn criticism from Beijing. Russian and Asean leaders met behind closed doors in Sochi city yesterday to discuss ways to work closely to ensure peace and prosperity in their regions. Singapore Prime Minister Lee Hsien Loong set out the factors that are crucial for the Asia-Pacific region to fully harness its potential and said Russia has a significant role to play in it. Berlin introduced a housing law this month to curb home-sharing websites such as Airbnb. Owners and tenants are not allowed to put up more than half the floor space in their apartments for short holiday rentals. Those who flout the law risk a fine of up to €100,000 (S$155,000). Venezuela is gearing up for its biggest military drills today , flexing muscle as President Nicolas Maduro battles an opposition push to have him voted out, and instability from an imploding economy. 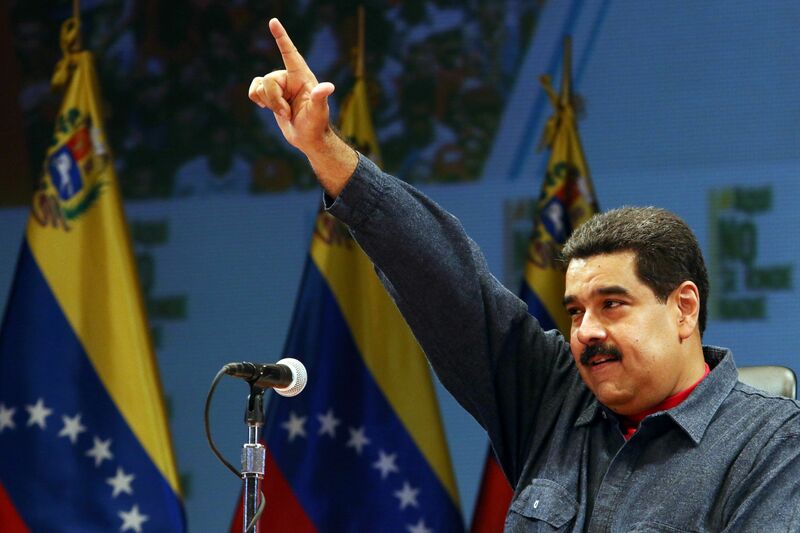 Mr Maduro has accused the United States of conspiring against him. Doctors can be drawn to their patients and vice versa but sexual involvement, even if between consenting adults, is always wrong, writes Dr Chong Siow Ann, as it violates doctor-patient trust. The Singapore Contractors Association said new safety measures implemented a week ago will make it harder for firms already facing pressures for project completion to be viable. The new measures are meant to tackle the worsening workplace safety situation, as another worker died at a work site on Thursday. A security officer was jailed for six months yesterday for hurting two madrasah students last month. Koh Weng Onn, 48, who started to have a dislike of Malays three years ago, was in a spat with Malay cyclists the night before the attacks. Almost a third of the venture capital and private equity deals in South-east Asia last year were in the Internet sector, a new report has found. Research from Bain & Company showed that Net-related deals were the fastest-growing sector, making up about 30 per cent of deals done in the region. Tennis' world No. 1 Novak Djokovic, who needs a French Open title to complete a career Grand Slam, is seeded to meet nine-time champion Rafael Nadal in the semi-finals after a draw was made yesterday. Holder and fourth seed Stan Wawrinka is poised to take on second seed Andy Murray in the other semi-final. Writer and brand consultant Koh Buck Song hopes his exhibition, Six Views Of Japan And Singapore, can shed light on the Japanese art form of haiga, which combines visual art and haiku. He has captured images in simple ink sketches accompanied by haiku that range from the introspective to the humorous. English actor Tom Hiddleston is British bookmakers' favourite to become the next James Bond, after a newspaper reported that Daniel Craig was done playing the super spy. Craig, who has played Bond in four films in the past decade, had apparently turned down an offer of £68 million (S$137 million) for two more.